14th December 2017 | Promenade Hotel Kota Kinabalu's 24/7 Operations Santa Jingle Belly kicked off with Santa trolling down the hotel's grand staircase (from 1st Floor Foyer to the Ground Floor) while the Christmas song 'Santa Claus is Coming to Town' was sang. 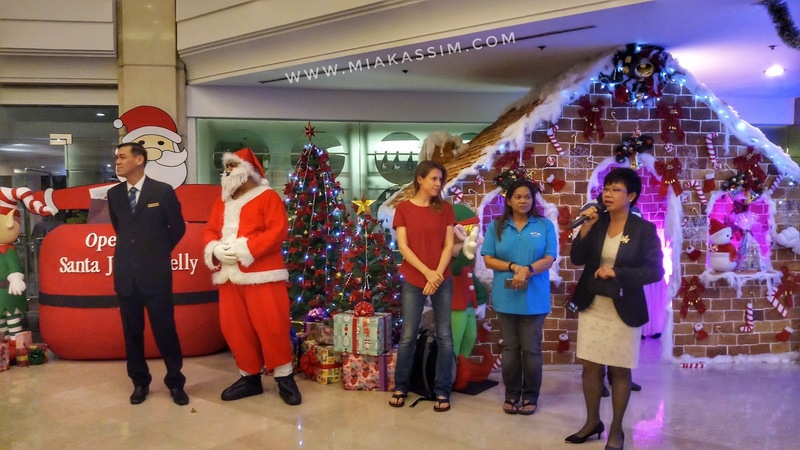 Santa began collecting donations in kind (used and new), with his Jingle Belly basket, from supportive hotel guests and hotel staffs. 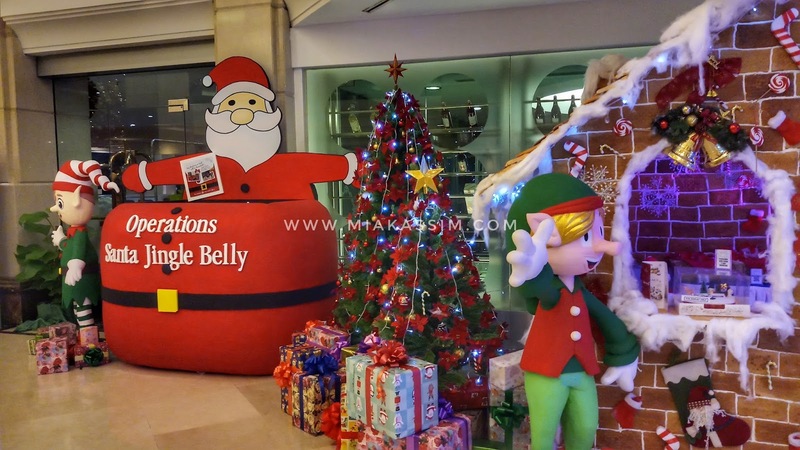 As soon as Santa reached the Giant Santa in the hotel lobby, the hotel General Manager - Mr Hafizan Wong took all donations from the Jingle Belly baskets and placed them in the Giant Santa's Belly to signify a simple launch of the 'Operation Santa Jingle Belly'. This Operation Santa Jingle Belly is open to Public 24/7 until 8th January 2018 where the hotel will arrange to channel all donations to Bukit Harapan, Tuaran - a home to mentally and physically challenged residents, those who are homeless, orphans and single parents ages 4 to 55 years old & Rumah Bakti Harapan, Inanam - a home to mentally and physically challenged residents ages 19 to 48 years old. 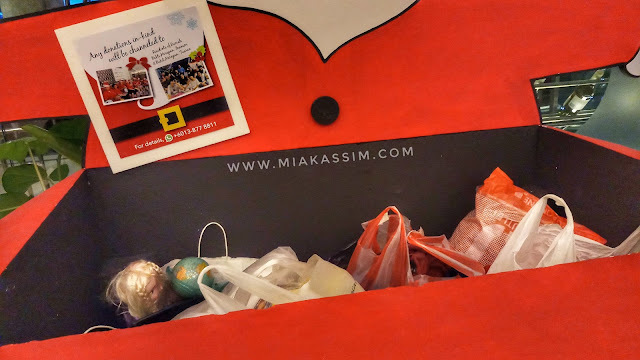 "We hope that this Charity Operations paves way towards making a difference for both homes especially during these festive seasons because sometimes, it is the little things that occupy the biggest part of their hearts." said Wong. 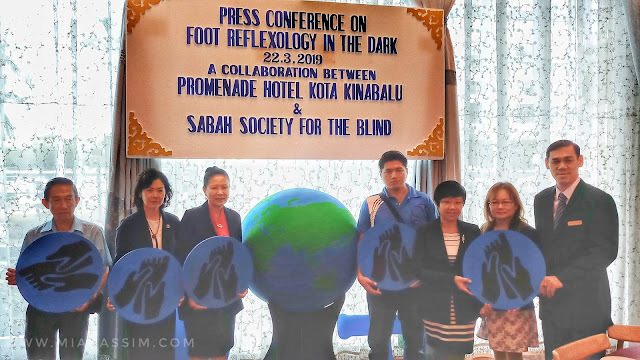 He added - "This is also a way for the hotel to contribute back to society as we continue to carry out our Corporate Social Responsibilities with the support from our team." 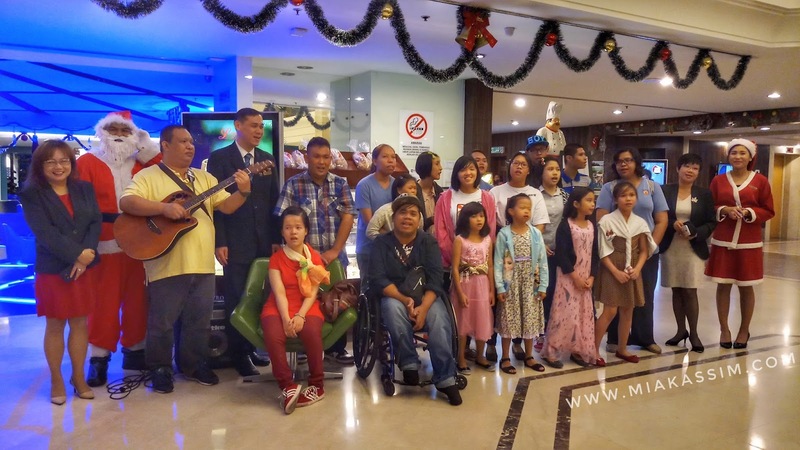 The launch was followed by Christmas caroling by some 20 residents of Bukit Harapan Tuaran, bringing everyone into the festive mood prior to a hosted Christmas Thanksgiving Buffet Dinner together with friends from the media fraternity at the hotel's 24 hours coffeehouse - Promenade Café. Once again, Promenade Hotel Kota Kinabalu ushers in the festive season with a full calender of delicious **buffet dinners and parties for the whole family throughout Christmas and the New Year. 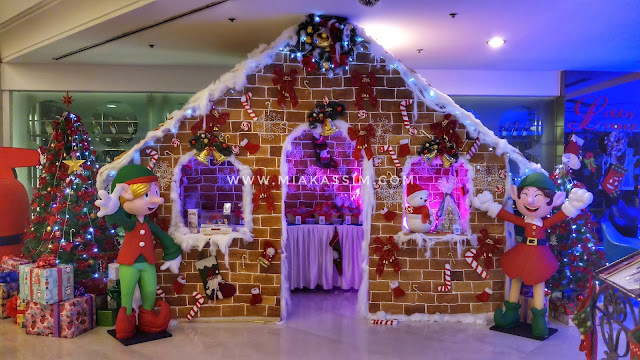 A life-size gingerbread house located at the entrance of the hotel's Lobby Lounge (i.e.next to the Deli Corner) has been up since early December 2017 offering an extensive selection of festive goodies. 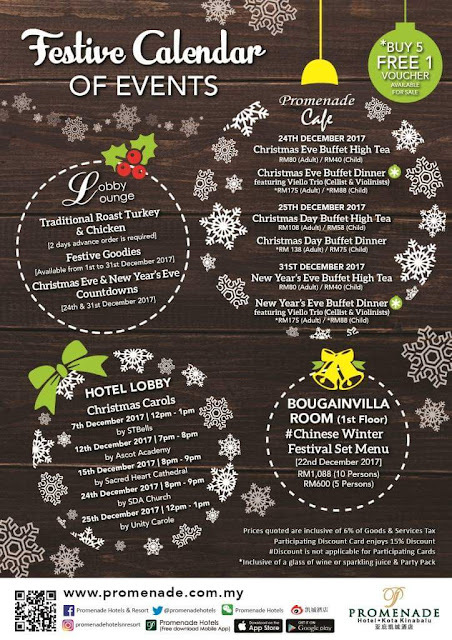 [**Special Buy 5 FREE 1 Prepaid Vouchers for Christmas Eve & New Year's Eve Buffet Dinners each at RM175 per Adult and RM75 per child, which includes performances by Viello Trio (Cellist & Violinists)]. The holiday season is not only a time for vacations, gifts searching, decorating, cooking and baking; it is also a time to sit back, relax and enjoy the company of being together with families anf friends. As a saying goes 'Food tastes better when you eat with people who matters'. 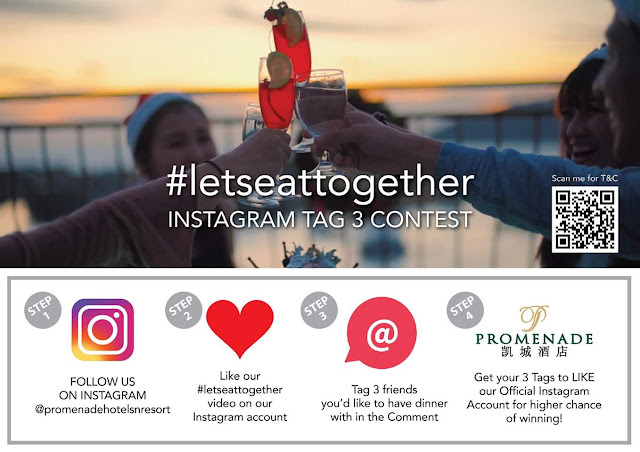 "It is this spirit of eating together that we came up with the #letseattogether Instagram Tag 3 Contest where top 3 lucky winners will get to eat together FREE with his or her choice of friends or family members at Promenade Café #promenadekk, Café@Se7en #promenadetwu or Peppers Café #promenadebtu. The Contest runs on Instagram Only at @promenadehotelsnresort until Monday, 8th January 2018. Check-out details on Facebook and Instagram!" 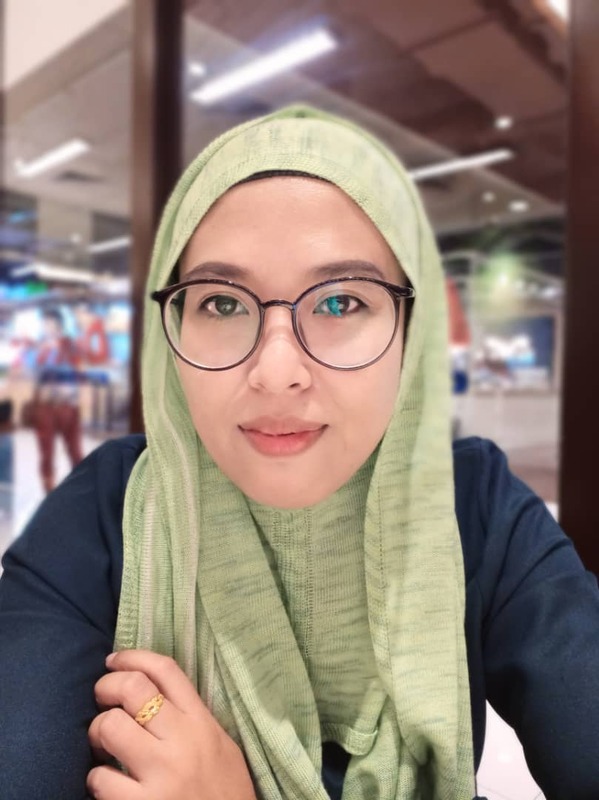 - said Ms.Anita Chung (Group Director of Sales & Marketing). "In line with this Contest, we will also be officially uploading our 1 minute #letseattogether video on Instagram." - added Chung. 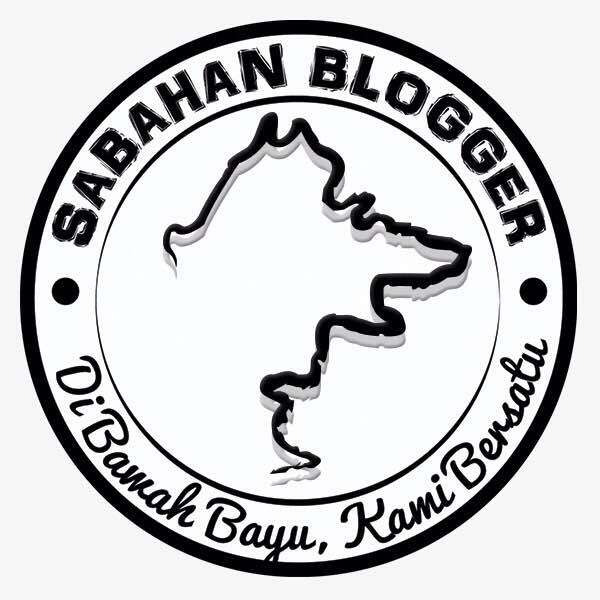 boleh join contest dia ne..